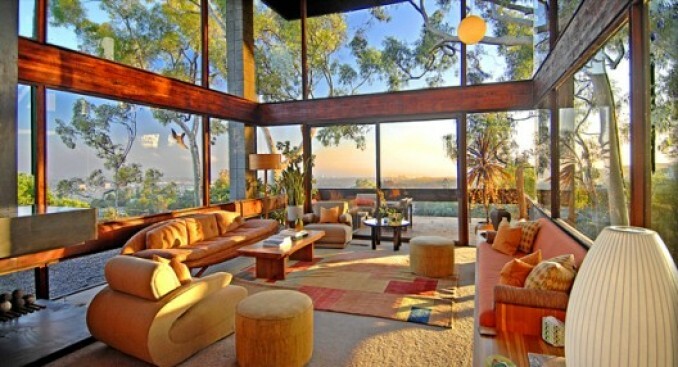 Located at 12256 Canna Road, this Ray Kappe-designed home is a certified historical monument, people. And it it looks a tad more fun than that other Kappe-designed Brentwood home. Who know how much restoration went into this one, but here's what the listings says: "This published wood & glass home has been painstakingly restored to incorporate its original natural elements & evocative form...Updated kitchen & dramatic infinity pool compliment this incomparable property." It doesn't look like there's much of a lawn, but there is one of those dyed-blue pools. A five-bedroom, it's listed at $4.95 million.